If you have your own little ballet star, you might be listening to lots of the Nutcracker at this time of year. If not, it’s time to break out this classic music! It’s rare to find a piece of music that premiered over 120 years ago that is still so well-loved today. Even if you’ve never seen the ballet, you’re likely familiar with some of the music (whether you know it or not). Those sugar plum fairies have made their way into lots of holiday music! The Nutcracker can feel fairly inaccessible, as a lot of “classical” music does. There are no words, the songs are long, and it can be hard to maintain the attention of a young child under those circumstances. The best solution that I’ve found is to attach the music to the story and to movement. 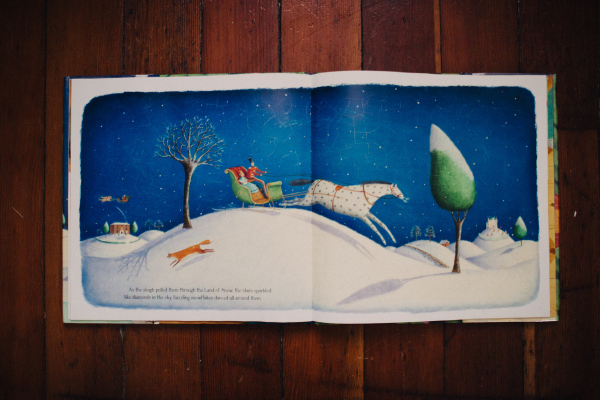 There are plenty of Nutcracker books out there, but I’d like to recommend one of my favorites. 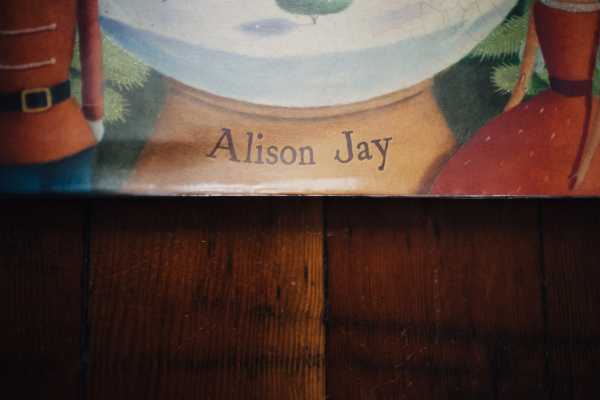 It is written and illustrated by Alison Jay. Her version is whimsical and beautiful, and doesn’t over-do the scary(ish) & creepy parts of the story—like the Mouse King. I find it to be a great guide for introducing the story to my students (though I rarely read it word-for-word). Find the book at your local library or on Amazon . The Pacific Northwest Ballet does a famous version of The Nutcracker each year. They offer a fun-pack of activities to accompany their performance. You can find it here and print out some of the characters for coloring. There is an abbreviated version of The Nutcracker called The Nutcracker Suite. Most of the famous music is found in this suite and it’s what I use to help my students connect to it. If you’re an Amazon prime member, you can stream a version of the Nutcracker Suite for free. The tracks are separated out and you can easily connect them to the different elements of the story in the book. 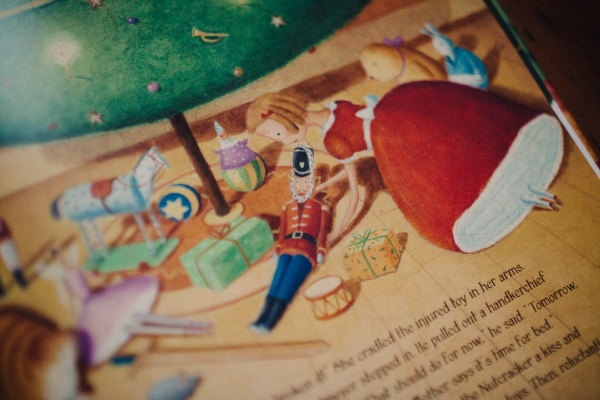 I like to let my students move with the different characters in the story – march with the Nutcracker, dance crazily with the Russian dancers (Trepak), spin with Mother Ginger’s children, and waltz gently with the sugar plum fairies. It may seem tricky, but I encourage you to find a recording and a book and see what you come up with. 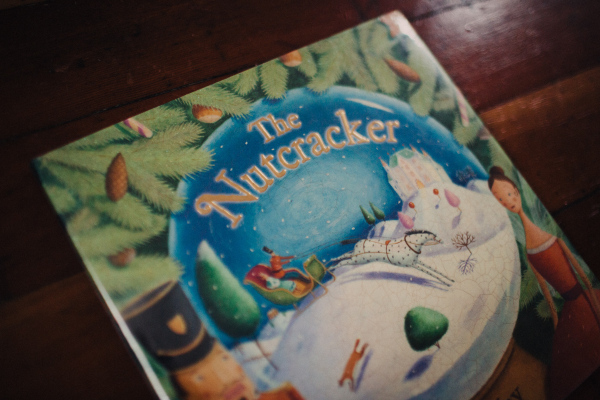 Take the time during these typically crazy time of year to spend some quality time with your child and the Nutcracker! Maybe you’ll make a tradition of it!